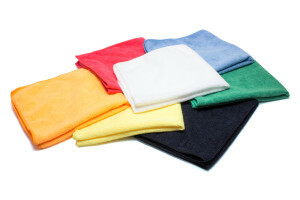 These little, lightweight microfiber rags are perfect for small or intricate jobs. Jewelry, small spills, delicate items. The lightweight, low pile is soft but aggressive enough to be excellent small microfiber cloths for cleaning.